How did your first encounter with the Blessed John Paul II happen? One day I had a telephone call, I was at work at my office. The message was clear: I was to dine with the Pope between midday and half past one. I asked my secretary to check it up because I suspected that someone may be playing a trick on me. I was wrong. It was true. We dined together. He asked me to make some suggestions, to give him some ideas on how he could improve the system, the communication mechanism of the Holy See in the media in order to allow him to communicate better the universality of human and Christian values for which the Pope felt responsible. That's how it all started. 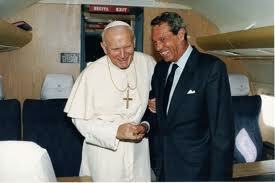 Sometime later I was informed that the Pope had nominated me Director of Information to the Holy See. I hesitated to accept because I was aware of the heavy responsibility which was knocking on my door but in the end I accepted it. I thought that I would work for two or three years but instead it lasted 22 years. That's how it all started. What did you propose to the Holy Father ? At that time, just a few things because as I told him : Holy Father, ten minutes ago I did not know I had to come to lunch here so what I will be telling you now will improvised. But, then, yes, we talked and we saw the transcendence, the importance for the Church for Christian values ​​in a world where contemporary society is permeated in the mechanisms of communication. He understood some reflections mentioned there that helped him in what had to be done in the years to come. 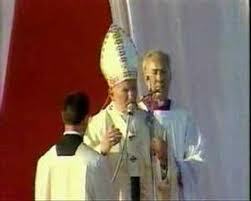 What strategy did you use to build Pope John Paul II’s media-friendly pontificate ? You said it well: "How it had started! 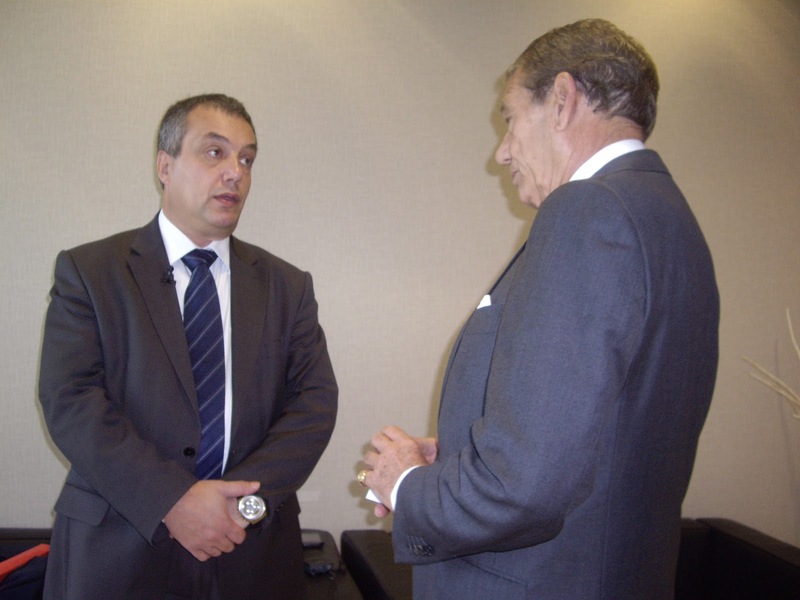 "The perception was that communications policy was very simple. The ideal was that the mass media would talk little about us, and when they did speak we would rectify. That 'a losing strategy. In communication you are either proactive or you are restricted to a purely informative reaction policy… this is a losing strategy. Public opinion is a highly complex subject and at the same time simply a large empty container. What is important is who first places ideas in it since afterwards others will follow. So the big issue was: “Do we have something to say? And this pontificate had plenty to say. 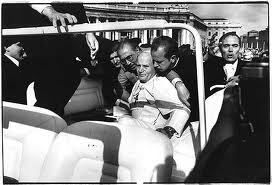 So let us say it proactively!” The result was the fascination that public opinion had for John Paul II and for the values of this pontificate which accompanied him till the end, right up to his funeral! What has the reaction of the Roman Curia been to this new vision of the media strategy the Pope was after? The Pope has many collaborators in the Roman Curia. The strategy and the line of thought in the Roman Curia was prepared by the Pope, and all the others had to follow him. So I would say that even they had to adapt to this new media strategy. This new sensibility! Of course it was not only to 'bridge' the Pope with the world, but as I said before to communicate everything, the universality of human and Christian values​​, to the whole world. The Curia had to follow in this line. A great and loyal collaboration! 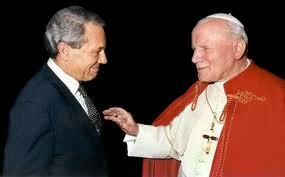 Excellency, can you mention some of your personal memories about Pope John Paul II? A very easy and difficult question because the memories of more than twenty two years would be so many. A personal memory about him every time comes to my mind. He was a person of an extraordinary good humour. He was a person with whom one could laugh easily. Having a good mood when one is seventeen years of age is an obligation to nature and a biological fact. On one's forty, forty-five years of age even when there are some problems with the children, with one's spouse, at work one can still keep up the good mood ... At eighty years of age, with the tremendous pressure of work, imaginable pressure of work, with those limits imposed by his many illnesses, he still maintained a very good mood. He had an extraordinary character! He even used to impress me through his enormous work capacity. He was a person who literally did not know how to waste a minute. He never wasted time. At the same time he was never in a hurry. They are two things that seem so incompatible yet they were so. He used to pass from one job to another to another to another.... but always with a feeling of being calm, serene, and never showing a bit of anxiety. So this enormous self-discipline had been his main key that permitted him to do this enormous amount of work he did in all those years of his pontificate. Have you ever seen him in an angry mood? It is clear that a person with the richness of character also had the ability to get angry. But since you ask me on what occasions I saw him angry, I will tell you some anecdotes. He was always angry on those occasions when he knew, he knew, that violence was done to a human being, man or woman, physical violence, moral violence during war, or whenever he felt that human rights were being suppressed. On those occasions he got angry. Because he saw in the human being this famous image of God that which the Book of Genesis speaks about at the beginning of Genesis ... That first biography of the human being ... God created man, man and woman in His image ... So when he saw this violence on human beings that made him angry because for him this violence was not only violence but was also a blasphemy against God. And there were such occasions in his pontificate: during the war in the Balkans, during the war in Lebanon, Iraq, etc etc, occasions when he tried to avert these situations also by intervening directly with the great leaders of the world, with the Presidents of the United States, with Saddam Hussein, He had sent his nuncio there, in Iraq. These were the occasions that angered him. 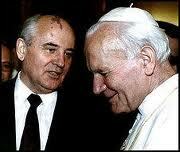 What do you remember of the Pope’s meeting with Mikhail Gorbachev ? 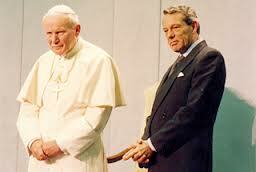 That evening I was dining with the Pope and I asked him: 'Holy Father what impression did you make of Gorbachev? He told me: Gorbachev seems to be a man of principle. Naturally I asked again:"What is a man of principle?" and he replied: "A man of principle is a man who believes in a number of principles which he respects such that he bears all their consequences even when these consequences are not to his liking"
That is how the Pope saw Gorbachev. Naturally we all know that it was thanks to this that the world changed, a historic change which changed the lives of millions of people and above all what was miraculous was that this change came about without bloodshed. 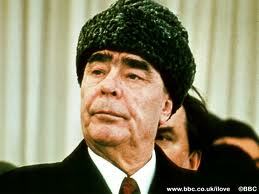 Leonid Brezhnev was on the brink of invading Poland. But he did not! 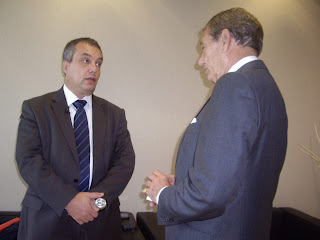 And what about the letter he wrote to Leonid Brezhnev?. This was a very hard time. It was December 1980. Solidarnosc had become a national movement, with a following of tens of millions of people of what had been born as a trade union but then become a national movement. All the Western powers were certain that at any time there would be a Russian invasion that would come either from the Russian border or else from East Germany. Aerial surveillance observed Russian military exercises near the Polish border. The Pope wrote a private letter to Leonid Brezhnev. We have not made this document public. The Pope in his letter cited the Final Act of Helsinki, which was also signed by Russia. Brezhnev never replied in writing to the Pope but I think that there was a response to the Holy Father even more eloquent, a historical response. That invasion never materialised. So this was an incredible act of courage by the Pope which thanks to God gave the desired results. What was his relationship with the five American presidents who succeeded each other during his long Pontificate? They were five very different people. 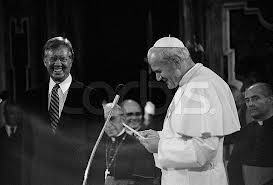 The first one who had greeted the Pope was Jimmy Carter. A man who had, there is no doubt about it, a great Christian sensibility, a great religious sensitivity. The historical fact was that it was the first time a Pope entered the White House. Then he met Ronald Reagan. With Reagan there were many meetings because it was a period of historical change. They were the two protagonists of the eighties. Just as happened in the sixties, the collective memory recalls three political and religious giants in John F. Kennedy, John XXIII and Nikita Khrushchev. In the eighties they were John Paul II, Ronald Reagan and Mikhail Gorbachev. They were two different personalities. Reagan used to call Russia the Empire of Evil, that was an expression never used by Pope John Paul II. For Reagan, communism, Russia, the Soviet Union were the greatest enemy for Western capitalism and for the freedom of the West. For the Pope it was different. They were people which for a thousand years embraced Orthodox Christianity, had Christianity in Russia! They were a nation that he knew, their history, their literature and their thinking. One can see them as two parallel lines that eventually converged. Still they were very different personalities, the Pope and Reagan. Then he also met President Bush in the United States, with the younger Bush, and with Clinton whom he met two or three times in the United States and then in Rome. As I already explained to you, it was very difficult to summarize the relationships with the American presidents since they were very different people. But all have commented on several occasions, about the great impression they had about this Pope and how they were spiritually enriched by meeting him. What was Pope John Paul II’s reaction to the fall of the Berlin Wall ? I remember Gorbachev's personal intervention… he ordered the Red Army stationed in East Germany not to intervene…I remember that the head of the KGB station in East Berlin was a certain Vladimir Putin. 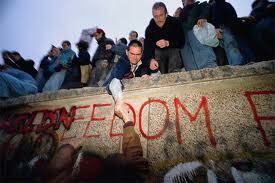 There was no intervention by the Soviet army so the fall of the Berlin Wall took place in a normal environment. I remember....I remember indeed I was rather surprised that his reaction was that he was not surprised by what had taken place! He was a man of great ideas. He knew that all this had to come. Of course he did not know when, but he knew it was imminent, and that for him was what he liked most and used to thank God for. It was that this historical change in the Eastern European states took place without any use of violence. John Paul II: He was so devoted to Mary of Nazareth! What can you tell us of his love of Mary of Nazareth ? I used to see in him the profound thought of the theologian and at the same time the simple spontaneity of child. 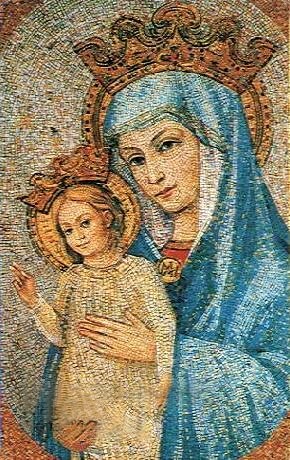 At the same time he was the person who prayed to Mary and trusted in her, familiar as he was with all of mariological theology, confident in her love and care as a son in his mother. It was beautiful, splendid. He was a Pope who in his old age suffered in his suffering. What can one comment on this? He suffered a lot! Even during his last illness. But I would say that his contact with suffering , his contact with the pain was very primitive in his life. Once I asked him who had accompanied him for his priesthood ordination. He was a very young seminarian and at that tender age he had already lost all the persons he had to love and be loved: his father, his mother, his brother, his sister. He met physical pain when he was still very young. Of course, the day of the attack in St Peter's Square caused him a brutal physical pain. And then I can recall his last few days on Earth when I was near him in his room before his death, but he always embraced suffering with a great serenity. It was the quality that was felt around him even in those sorrowful circumstances. He believed in the spiritual value of suffering. The value that can be added to the biography of a man, a woman taking that pain and grief and offer it to God as redemption for himself or for others. To conclude with your question, in his early days of his pontificate he instructed his staff to reserve the front rows of his audiences to sufferers and to people with special needs. I will conclude with a short anecdote: We were abroad. He was talking to some sick people when the bishop who was accompanying him told him to hurry, for not to delay his next ceremony. The Pope stopped and exclaimed to him : " Listen, with people in suffering one cannot ever be in a hurry!" And he continued to talk with those sick people. For me as a doctor it was a beautiful lesson. Why is John Paul II a saint ? He is a saint for a very simple reason. He was person that throughout his life had always been able to say yes, to all the requests he received from God. Whatever God asked of him,. he never once responded in a negative way. This is Holiness! Every human being, a;; of us, when we receive life, we also receive from God a number of possibilities that need to be developed in the spiritual way, in order of goodness. All these possibilities that he received from Him, he had developed as much as possible with the help of God. For me this is holiness. 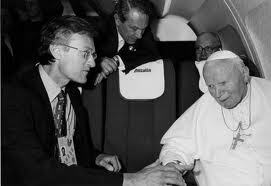 People used to ask me "You that you were so close to him for many years, what would be the masterpiece of John Paul II?" 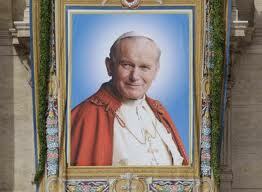 I never doubted that the real masterpiece of John Paul II was that in his life he always said yes to God's will. That was really his great masterpiece.